The second phase of 2019 Lok Sabha election is scheduled to be held on April 18. Voters in 97 constituencies across 12 states and one union territory will exercise their right to vote to elect their representatives from 1,644 candidates. 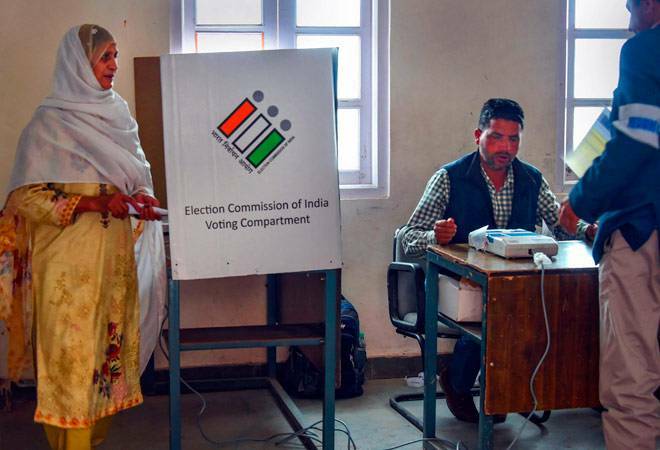 In the second phase of 2019 general election, states which will be voting today are are Assam, Bihar, Jammu and Kashmir, Karnataka, Maharashtra, Manipur, Odisha, Tamil Nadu, Uttar Pradesh, Bengal, Chhattisgarh and Union Territory Puducherry. The voting time for Phase 2 elections is from 7 AM to 6 PM. The prominent candidates for the phase 2 elections are: Hema Malini (BJP), Veerappa Moily (Congress), Kanimozhi (DMK), Raj Babbar (Congress) and Farooq Abdullah (National Conference). To cast their votes, voters need to check whether their names are on the electoral roll, or voter list, or not. Only voters who have been included in the electoral roll can participate in the voting process. The voters also need to know their polling booths. Voters can find their polling booths online, via mobile applications, or through voice calls and SMS. They can log in to electoralsearch.in, or install Voter Helpline App on their phones to find their respective polling booth. Voters can also call the Voter Helpline number 1950, with their STD codes in front, for information on their polling booth. For example, voters in New Delhi will have to dial 011-1950. For finding polling station location via SMS, voters have to send ECIPS<space>EPIC No to 1950. EPIC stands for Electors Photo Identity Card and EPCI Number is the voter ID card number. Voters can once again visit electoralsearch.in or install Voter Helpline App to check their names on the voter list. They can also call the Voter Helpline number 1950, accompanied by their STD codes. To check voter list via SMS, voters will have to send ECI<space>EPIC No to 1950. Voters are allowed to carry mobile phones but they won't be allowed to use their devices in the polling booth. Voters should ideally not use their cell phones in 100 m radius of the polling booths. Mobile phones must be kept in silent mode or switched off.